The South African artist talks about pushing through cultural prejudice and the creative struggles of being signed. 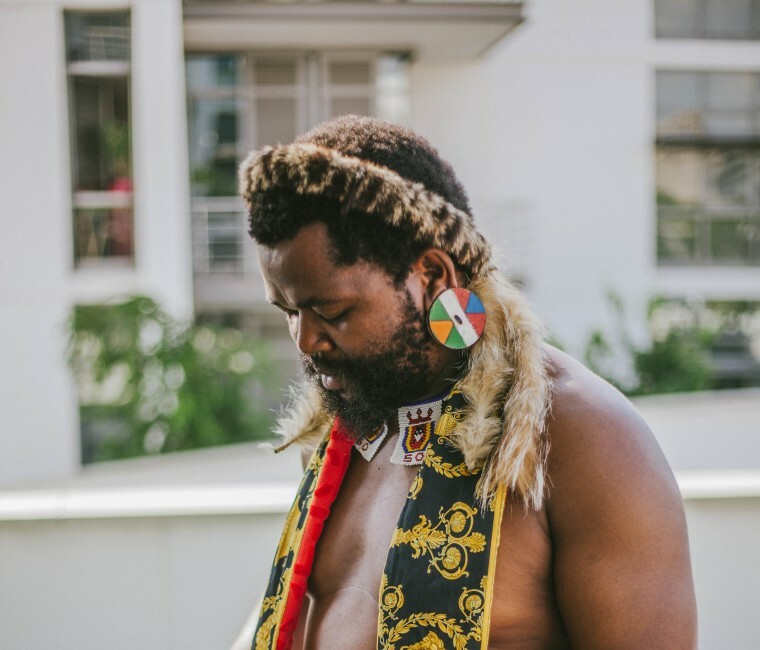 The year 2018 was a big one for South African singer and songwriter Sjava. He was featured on the Grammy-nominated Black Panther soundtrack on the song “Seasons” alongside Mozzy and Reason. He won a B.E.T award under the Viewers Choice International Act category. He was interviewed by Ebro on his Hot 97 show and on Apple Music’s Beats 1 about his localized version of trap. ATM (African Trap Movement) is a label founded by like-minded artists Emtee and Saudi, alongside Sjava himself. They pride themselves in blending trap music with South African genres. While all three artists excel in that endeavor, Sjava’s music is less trap and more of the music he grew up listening to. 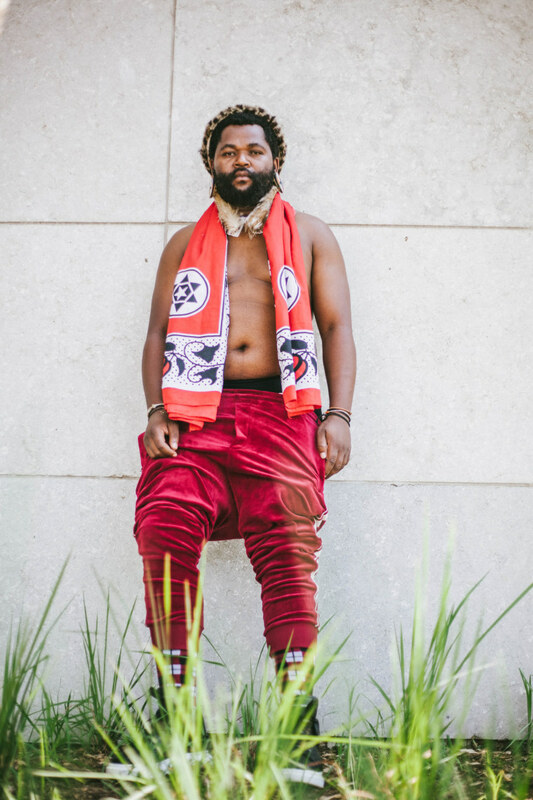 Vocally, Sjava interpolates South African genres such as maskandi, isicathamiya and mbhaqanga into his trap. As is the case with the aforementioned genres, his lyrics are more reflective of his reality and that of the ordinary South African living in rural and urban areas. You won’t hear any auto-tune on his vocals or the glorification of violence, drugs, or the objectification of women in his lyrics. He also dabbles in R&B, soft rock, and some elements of jazz. Last month, he released his sophomore album Umqhele (meaning a crown in Zulu). On it, Sjava builds up on who he introduced himself as on Isina Muva, his gold-certified debut released in 2016. Umqhele boasts dazzling production and a more diverse subject matter as compared to its predecessor. On Isina Muva, he told personal stories that involved relationships and family, but on Umqhele, he covers spirituality (“Izitha”), patriarchy and sexism (“Abafazi”), ambition and success (“Linda”), gun violence (“Isbhamu”). When Sjava first released Isina Muva, his style was compared to that of Mashayabhuqe KaMamba, another innovator who blended maskandi and trap in a subgenre he calls digital maskandi. On Umqhele, Sjava moves away from that and finds his own identity, voice and sound. 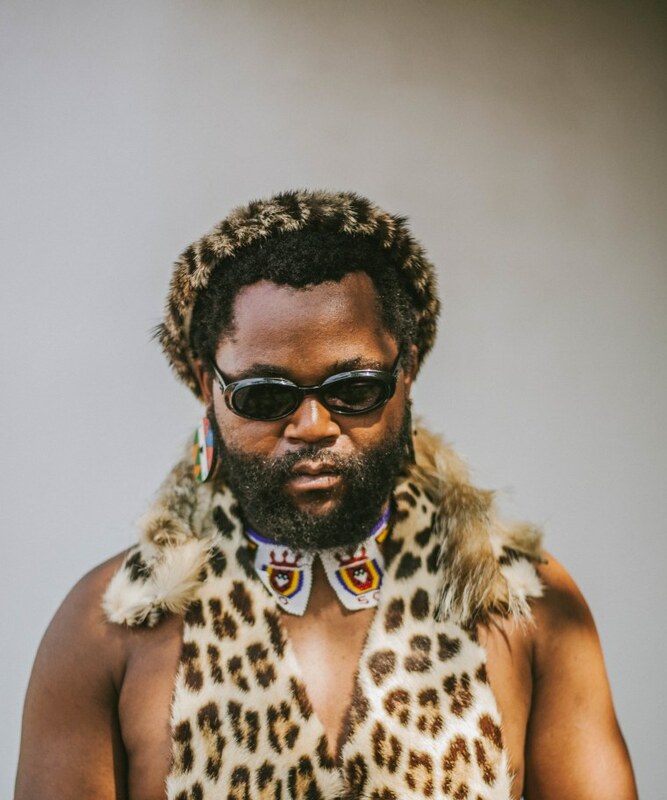 During a recent interview at his label Ambitiouz Entertainment's headquarters in Johannesburg, Sjava discussed dissatisfaction with his album, label politics, relationships, and more. You just dropped an album about a month ago, how has it been? I think people like it. But I didn’t like it. It’s the label that decided to drop it. I was not ready. I think it’s the whackest thing I’ve ever done. I never got time to work on it. It was just by chances. But there was never time allocated that, okay we gonna work on this album. So there were chances: do a hook, do a verse between performances and all of that. So I really thought it was bad, but the people like it. At the end of the day, we make music for people, so if they are happy, I’m happy. It’s the same thing when we dropped “Ekseni.” Me and Ruff thought that song was trash. We really thought it was over for us. But people liked it. Did you express this to the label? Yeah, I told them this album isn’t the one, it’s not good enough, but they believed in it and released it. It’s been number 1 since it came up, on the hip-hop charts, and all genres. Yes, I was because I had all the time to work on it. There was nothing distracting me. But, now after the first album, you become busy, you move, you stay at a different place, with different people, so basically it’s just a whole new life. Luckily, I always keep it real with my music; I know who I am and where I come from. I think that’s the danger most artists go through. That’s why you find that their second albums aren’t as great. Because when you made your first album, you had time. No references, no nothing, you believed in whatever you put out. But second album, there’s a lot of…you know, Is it gonna be better than the first one? But I think one important thing is to not try compete with your first album, and just carry on with the story that you pushing. You had that in mind when you were working on the album? A lot of people said I would never make another album as great as Isina Muva, but I never let that get to me, or worry myself about it. Isina Muva and Umqhele, it’s two different time zones. Why did you call it Umqhele (a crown)? Because that’s how I want everybody to see themselves. They don’t have to really be a king or be born from a royal family, you can just see yourself as a king or queen. Just carry that. That’s what I do, that’s how I see myself, that’s how people receive it. Because most of the time people always approach me with respect because of how I carry or see myself. You don’t even have to throw your ego around. As long as you wake up and tell yourself that I’m a king. So that song “Iqhawe,” which is on your EP Umphako, surely belongs in the album. Yeah, most definitely. I wanted even the songs on Umphako to be on the album. Because people who listen to my music, not all of them are familiar with digital and the Internet. So, there’s a lot of people who don’t know about it because they don’t have Twitter, Instagram, or iTunes. There’s people who still believe in going into a music store and buying an album. But “Iqhawe” is one of the songs that I appreciate because of the messaging, production…everything about it. It’s one of the songs that make me proud, and it’s not everyday that I’m proud of a song I make. With this album, I felt like sonically, you and Ruff added more elements, like the saxophone on “Linda,” for instance. Was that deliberate? Yeah, most definitely because I feel like the level of music is dying out because of production going digital. What niggas do now: doof doof, drums, small melody. They record, and that’s it. They don’t take the time to create the music the same way the likes of ubab’ uJabu Khanyile, Lucky Dube, Stimela — all our legends basically. [With them],you could hear every instrument. Even their live performances were crazy. Look at our live performances, they really dying out. When was the last time you saw a live DVD? I think the last time was Sfiso Ncwane, which is gospel. But in terms of hip-hop, I haven’t seen any live DVD production because of that. But I think music is something we need to respect; it’s not something you can play with just to make money. Obviously we are gonna make money from it because it’s business, but at the end of the day, you need to offer something, you still need to be real, treat it as an offering, so I really respect it. And then there’s this song you have with Mzukulu and Anzo. So “Eweni,” it’s Vuyo Manyike on production, the same guy who produced “MaDludlu” (from Isina Muva). He’s a bass player. With that, I didn’t wanna change the people I worked with on Isina Muva. Rather add than change the people I started with. The beat is old school R&B, and then I sat down and said, ‘Okay, if I can get uMzukulu to bring maskandi, how would it sound?’ I called him up, he did his thing,called Anzo up and he did his thing. I’m only on the hook, they are on the verses. Again, people were like, “No, it’s your song, people need to hear you more. You need to own the song,”but it’s not about that. he most important thing is coming together and creating a great song. I was in a relationship with someone in the industry and there were too many problems in that relationship. I really love the person. But guys sat me down like, “Yes, you love this person, but there’s nothing really good that’s gonna come out of it. You need to face reality — you not the same person anymore.” Whether you like it or not, fame does mess up relationships because that part that you famous will always be there, especially if the other person is famous too. And now the whole world knows, and it messes everything up. I guess I’ve always been right that your music is personal. When I listened to Isina Muva, I’m always thinking, he probably really did go through this. With this new album, is it still the same thing? On “Isbhamu,” which is a hijacking song, I lost my friend Dumi Masilela, who used to act on Rhythm City. They hijacked him in Tembisa and shot him. He was married to Simphiwe Ngema. It was a few months after their wedding, and he got killed. So, it’s not really because we’re great that we create this music thing. Obviously, they are sent from somewhere, and they choose your body and spirit to pass on the message. It’s not really you. So whatever that comes to me, I get it out there. And in terms of the themes you explore, Umqhele is more diverse than Isina Muva. Was that deliberate? It’s just what was happening in my life at the time. Things change. I did three songs about heartbreak on Isina Muva, and everybody said the album was about heartbreak, but there was still songs like “Hlasela,” “Ekseni,” “Amafu,” but people just focused on those three. And it really got to me because I don’t want to be known as that guy who focuses on that type of music. I don’t wanna be limited, I wanna talk about anything that I wanna talk about. One song that intrigued me was “Izitha.” Do you have a calling? No, I don’t have a calling, but I respect it. There one thing you need to know about ub’ngoma (being a traditional healer) first of all, it’s looked at as a bad thing, when really it’s a beautiful gift. Let’s say a 10-year-old gets a calling, at school and at home, they get dissed like, “You a monster,” or “You this and that,” or “Ew, what’s that skin on your wrist?” Nobody is really embracing it on the mainstream, to be like this is a beautiful thing, we are African. White people destroyed it, they made it look bad and all. So now, if you are seen with umuthi (traditional medicine), it’s a big thing, like you are a witch. Because they knew that our powers come from that, so they had to destroy it for them to be able to take over. They introduced us into their own things. So what happened with the song, I wanted to show love to izangoma (traditional healers), and show them and that ubizo (the calling) as a whole, we appreciate it. The reason I got Buhle on the song is that she just came back from ukuthwasa (training to be a sangoma). I sent her a picture of her wearing her ukuthwasa attire and said, “This is the Buhle I wanna work with, not the one from The Soil.” She came through and it was amazing. So, in an ideal world, looking at the album as it is, what would you tweak? Nothing really. It is what it is.